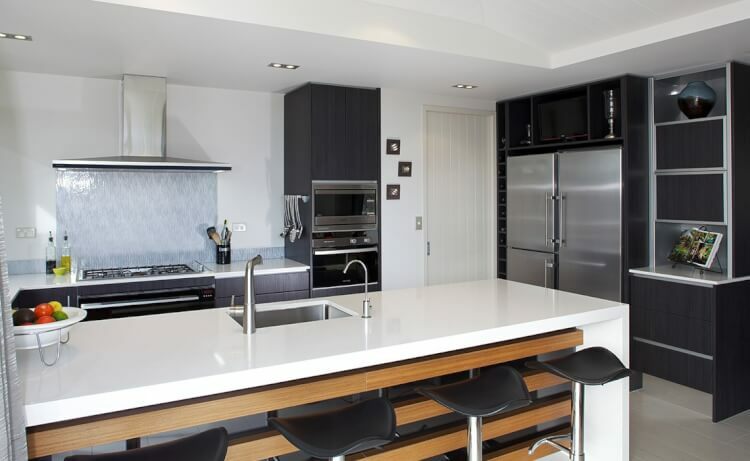 FeastHome – Want to improve the overall ambience of the kitchen, but don’t know how? Confused by the ocean of possibilities that the decorations are? Don’t know what colour to paint your kitchen? Want to know what accessories to buy? Appliances make improving your kitchen easier. So many things look stylish and awesome, but they are just more of a burden. An open storage might look great, but most times it gets cluttered and starts collecting dust. Hanging lamps, just like we said, are a great accessory and we still recommend them, but you have to be careful when you move around in the kitchen. If you are dedicated to start to improve your kitchen, you must also be dedicated to accepting the changes and act accordingly for the rest of your life. If you want to have hangers for pans and ladles, you have to be extra careful in the kitchen. If you want to have a vertical garden, you must water them everyday. If you want to buy marble countertop, remember that anytime you spill something, you have to keep cleaning it. The bottom line is, you make to make changes that you are prepared to live with. Smart refrigerators, built-in microwaves and other appliances are a staple part of the kitchen. Nowadays, most of them are built in the walls of your kitchen. With this, there is more space in the kitchen for other items, and every square inch in the kitchen is important! They help make the kitchen look sharp and well fitted. Another advantage is that the appliances don’t stand apart. If you have white cabinets and a black microwave oven, it is definitely going to ruin the look. Built-in microwave ovens are the answer. They look like they were made to be in your kitchen. They make the kitchen look like a well-fitted pieces of Tetris blocks.Smart appliances are here and they make your work easier. They are worthy of your investment. Check them out. 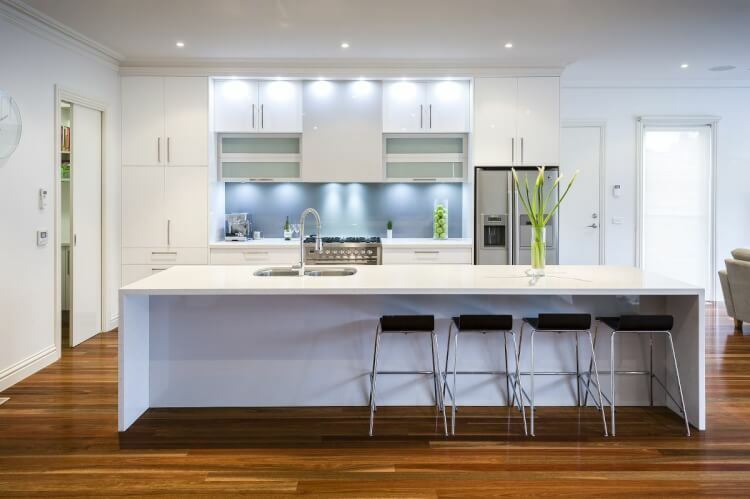 Minimal changes can still be an improvement on the kitchen. Is the paint on your wall blank and lifeless? Give it life by adding textures and patterns. You can add brick patterns, gradients and much more. Add partitions on your storage racks. It will look like some spaces were tailored for some utensils. Give your utensils the appreciation their uniqueness deserves. Replace plain coloured chairs with bright coloured ones, but make sure they don’t interfere with your theme. They add a fun pop of colour in your kitchen. Change the handles on your storage cabinets. Hang some wall art, frames or even collectibles. From hanging lamps to LED strips, there are so many ways you can illuminate your kitchen space. According to the current colour of your kitchen, the theme you are expecting and the current illumination, your lighting needs may vary.Avoid lights that are too bright, and invest in lights that are dimmable. There are many types of lighting. The overhead ones, that are the primary hanging lights in the kitchen, need to be able to provide ample lighting. Then there are LED strips. These are best located under the counters and tables, and they add depth. If you have dark cabinets and counter tops, you can add some more LED strips to your kitchen. The best things about LED strips are, their sizes are totally customisable and are bright enough. The most important ones are downlights, which are placed on the ceiling and are the primary illuminators. They also help reduce glare in the kitchen. Three things are important the look of the kitchen, the taste of the food and the natural fragrance of the kitchen. If youkitchen looks like a palace and smells bad, the whole thing is a flop. You can opt for artificial fragrances or natural ones. You can put up potpourri or maybe grow some fragrant plants like citronella in your kitchen. If you have a vertical garden, grow some spearmint. They are stronglyfragrant and are useful as an ingredient too. Equally important is getting rid of bad smell. Chimneys are hugely popular to a level that they are a basic requirement now. But, if you don’t have a decent one, get a new one. It is also best for your health. Keep the garbage disposal away from the kitchen hotspots and clear them every day or two. Improving a kitchen not only benefits you, but it benefits everyone around you. 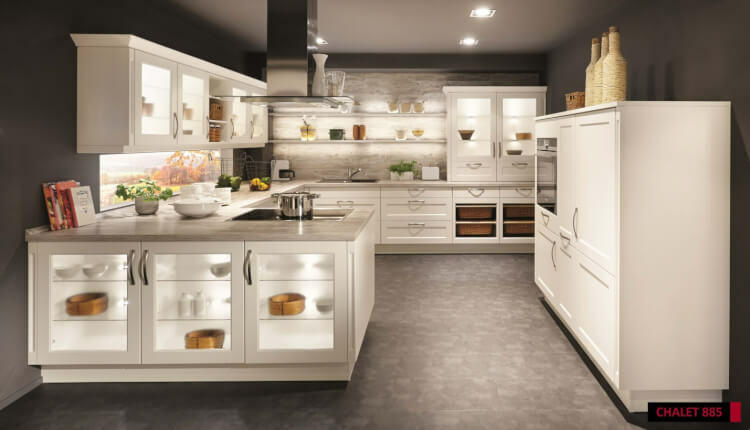 Start improving you kitchen today, and by the end, you will have for yourself a trendy kitchen that is well equipped and safety-compliant. The process can be slow and tedious, but don’t lose hope. We want you to have a fun time improving your kitchen.